It isn't far fetched that this is my favorite feature that the Infinix S2 Pro offers because you'd hardly expect a front facing camera this good and this wide to be on an affordable smartphone. What most people do not know is that the Infinix Camera also has the same PRO mode that came with the Infinix Zero 4 Plus. The PRO mode basically lets you change settings like ISO, shutter speed e.t.c. manually. I took the liberty to challenge all of my 78,000 followers on twitter to a wide angle selfie challenge and not one person was able to produce results that looked as good as the selfie that i took on the S2 Pro. Let that sink in for a moment. Specs wise, it is a 13MP + 8MP dual selfie camera, little wonder huh?! It's also perfect for vlogging because it shows you and everything going on in the background. The XOS 2.0 is a little bit underrated because i have had to use other Nougat devices as my primary or secondary phone and wonder where this feature or that feature that i enjoyed on the XOS device went. Just like the saying goes, i didn't know what i had until i didn't have it. Luckily, i regained that again with the S2 Pro. The major one i missed was locking/unlocking specific apps with fingerprint sensor - the difference between a system app and one that i downloaded was that the system app locks your apps every single time, no irregularities. The difference is clear. P.S: The S2 Pro originally shipped with the 6.0 Marshmallow. A couple of days after its launch, the 7.0 Nougat OTA Update notification popped up and i upgraded right away. I do love a big screen but i always feel so confident using the grippy S2 Pro through a crowded open space and right before i fall asleep, holding it up to my face - maybe because it's light weight, with good grip and won't cause any major damage to my face if it ever slips or because its portable size doesn't cramp my hands in a short time. Whatever the case may be, it feels really good in the hand and every curve sits well - nothing sharp digs into your palm. I love the battery management of the Infinix S2 Pro. I'm normally not too excited about the battery sizes less than 4000mAh but the S2 Pro has me believing in battery optimization more than i ever did in the past. Using a 720p HD display on a 5.2" inch screen surely pushes 3000mAh to limits you'd never expect. Standby time is flawless all thanks to the Nougat update. I consider myself a medium to heavy user because i spend way too much time on social media and streaming videos on youtube. Therefore, no amount is too much for a phone that lasts me through the day til to the next day and the Infinix S2 Pro does that. This App comes with the XOS UI but it deserves a spot on my list. It's a nice and nifty way for millennials like me to create or spruce up your videos for social media and/or youtube. I took the liberty to show you guys how to use it. 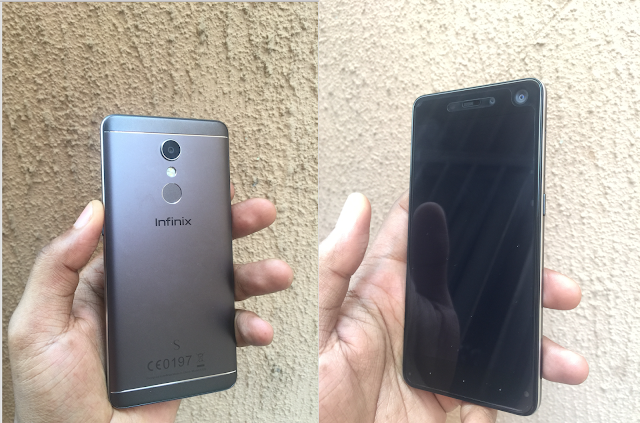 Now, you know all my favourite features of the Infinix S2 Pro. I hope you enjoyed reading this as much as i enjoyed writing it as this was my attempt to tell you all the cool things i love about the Infinix S2 Pro without getting into the techy stuff. Leave a comment below if you have any questions or visit my channel to see more exciting video comparisons of the Infinix S2 Pro .....even going up against the iPhone - iSheep get in here! You can purchase the Infinix S2/ S2 Pro here.